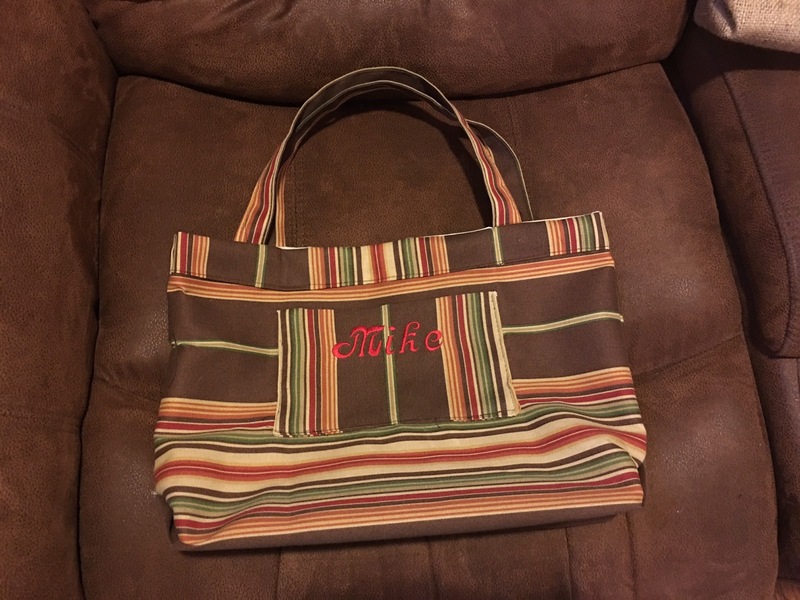 Totes and purses can be made in any size and any type of fabric. These can have a zipper, snap, button or parachute buckle closure and any number of inside/outside pockets. 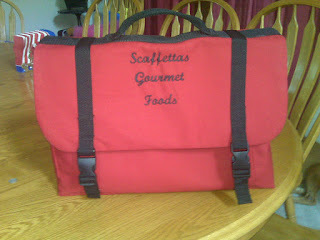 Sister, Annette Scaffetta's book bag/tote. Love the colors. 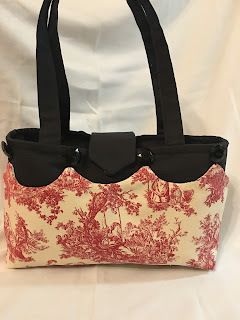 Special friend, Betty's tote - love the fabric. Small case for diabetic friend to hold her medicines. Sister-in-law, Cindy Scaffetta's tote 16x12x4" Great size for quick shopping trips. Gina's overnight bag. Great size for overnight travel. 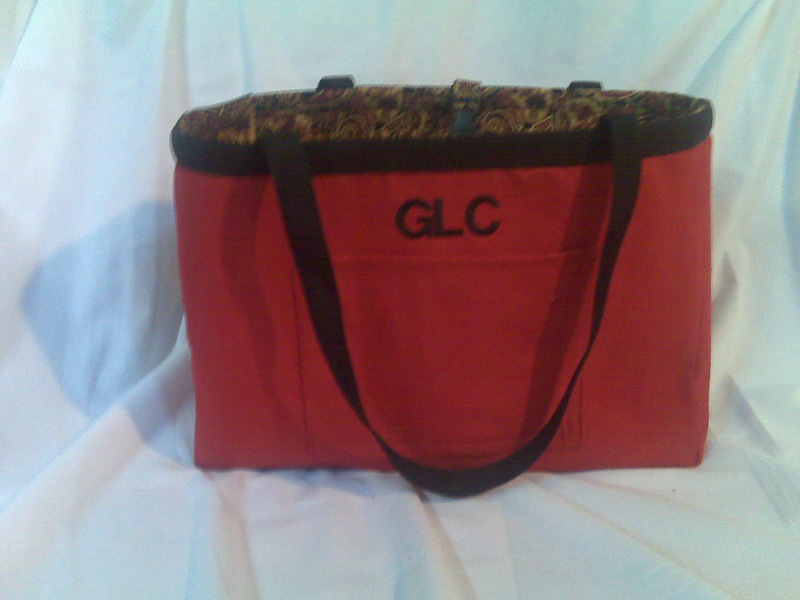 Sister, Glenda's tote 16x12x4" totel Great size and monogrammed. Megan's computer bag which is lined and padded. She helped with the design. Mike's unlined tote with inside french seams. Monogrammed as well. Brother, Nick Scaffetta's computer tote which has lined and padded computer pocket, and pockets for hard drive, printer, cords and folders. Long adjustable shoulder strap which is removable. Patrick's book bag with vinyl pocket to put photos or notes. 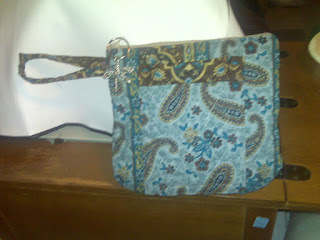 Leather zipper, lined wristlet with Longhorn medallion. Wine or drink tote. Made to order. Sarah's tote for her birthday. Loved making this for her. Granddaughter, Sarah helped me design this little purse with adjustable strap and snap closure. Made for friend, Susan Goodman, My design of "Naked Tote" with removable, reversible "skirt". So fun! 16x12z6" tote - perfect for work, shopping, or just fun. Various sizes of zipper cases for ear buds, MP3, chargers, etc. Zipper sizes, 4", 6", 8". Can make any size. Toni's lined zipper cases for gifts to friends. My design of "Naked Tote" with removable, reversible and interchangeable "skirt". Fun! 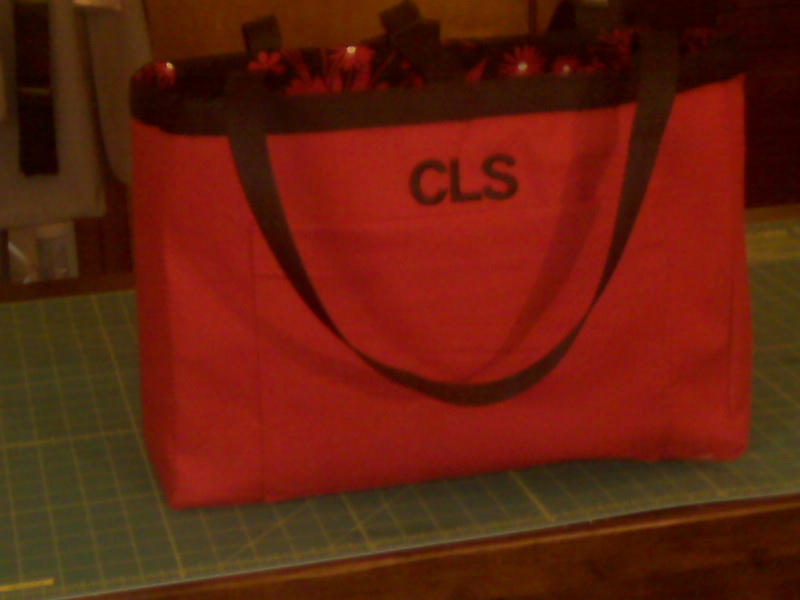 Vinyl tote (any size) along with a vinyl zipper case. 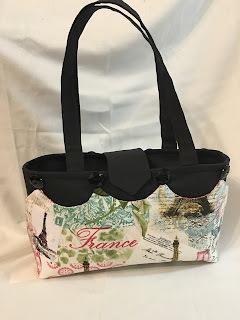 Would make a great travel gift for any age. 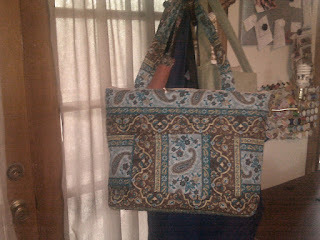 Made for friend, Susan Goodman, my design of "Naked Tote" with reversible "skirt". Annette's "Grow with Me" tote with buttons, zippers, snaps, vinyl pocket with interchangeable fun inserts.